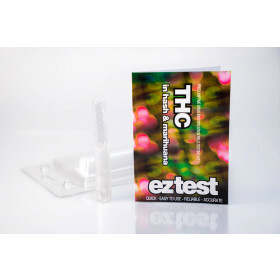 The EZ Test Heroin enables analysis of a suspect substance to check for Heroin. 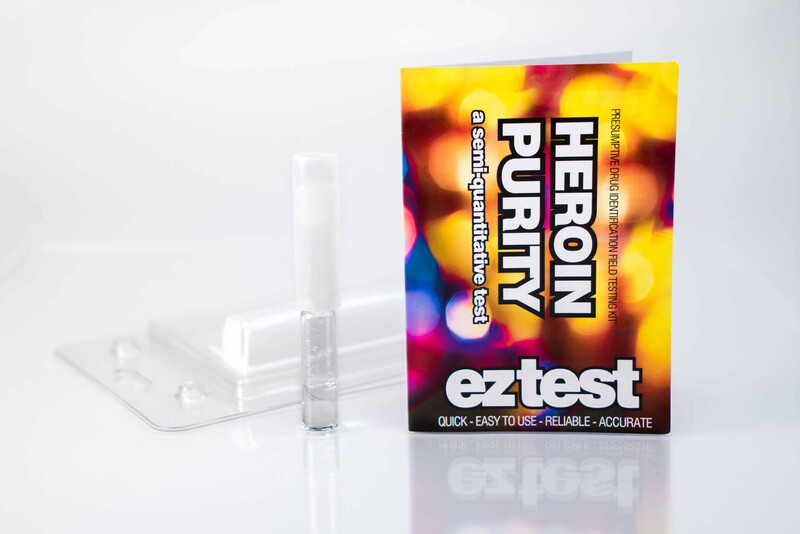 The Heroin Purity Test enables you to quickly get an idea about the purity of the heroin. Just open the ampoule, add (EXACTLY!) 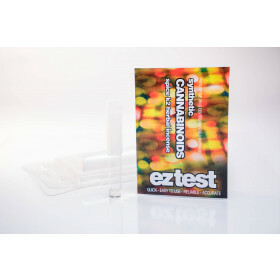 20 milligrams of your sample to this test. The bottom layer will reveal a yellow/orangey color which becomes darker when there is more heroin present in the sample. You will have your result within seconds. 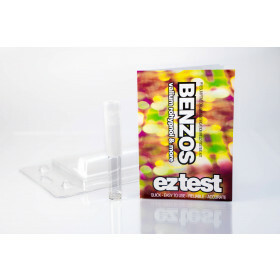 This is, by far, the most advanced test on the market for people who want to know what they are dealing with. 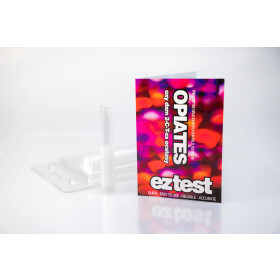 The EZ Test Heroin Purity Test is very insensitive to the usual cuts such as mannitol and other known cutting agents that are commonly found in heroin. 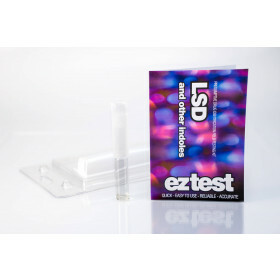 This test can’t tell you anything about the identity of the substance that may have been used for cutting the sample. Once the chemicals in the kit are mixed together and a small sample added, the solution will change colour signifying a positive reaction. 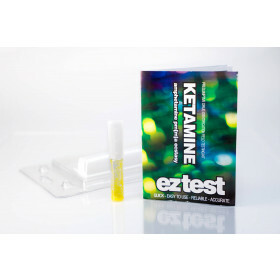 The kit can be used for one single test. Step 1: First, fill the red field on the instruction leaflet with some finely ground sample (this is approx. 10 milligrams). Step 2: Add the contents of both tubes to the bottle of liquid which will result in a greenish upper layer forming. Step 3: Next add the sample to the bottle, close the lid and shake for 2 seconds. Step 4: A colour change in the lower layer might take place if there is a positive reaction to the sample. Compare this to the colour chart on the leaflet included in the test. The darker it becomes, the more cocaine is present. If the colour change is still transparent and shows a light to medium brown colour, the sample has a high quantity of adulterants.